UK 16V 4A 64W VGP-AC16V10 for SONY Laptop Charger AC Adapter in stock. * Fast Shipping UK 16V 4A 64W VGP-AC16V10 for SONY Laptop Charger AC Adapter in stock. to All the UK Address: London, Birmingham, Leeds, Glasgow, Sheffield, Bradford, Edinburgh, Liverpool, Manchester, Bristol, Wakefield	, Cardiff, Coventry, Nottingham, Leicester, Sunderland, Belfast, Newcastle upon Tyne, Brighton, Hull, Plymouth, Stoke-on-Trent, Wolverhampton, Derby, Swansea, Southampton, Salford, Aberdeen, Westminster, Portsmouth, York, Peterborough, Dundee, Lancaster, Oxford, Newport, Preston, St Albans, Norwich, Chester, Cambridge, Salisbury, Exeter, Gloucester, Lisburn, Chichester, Winchester, Londonderry, Carlisle, Worcester, Bath, Durham, Lincoln, Hereford, Armagh, Inverness, Stirling, Canterbury, Lichfield, Newry, Ripon, Bangor, Truro, Ely, Wells, St Davids .... by royalmail. Welcome wholesale this UK 16V 4A 64W VGP-AC16V10 for SONY Laptop Charger AC Adapter in stock. PCG-C1MSX, PCG-C1MZX, PCG-GR3F/BP, PCG-GR3N/BP, PCG-GR5E/BP, PCG-GR5F/BP, PCG-GR5N/BP, PCG-GR7/K, PCG-GR7E, PCG-GR7F, PCG-GR9, PCG-GR9/K, PCG-GR90E, PCG-GR90E/K, PCG-GR90F, PCG-GR90F/P, PCG-GR9E, PCG-GT, PCG-GT1, PCG-GT3/K, PCG-SR9C/BK, PCG-SR9G/K, PCG-SR9M/G, PCG-SR9M/K, PCG-SRX3, PCG-SRX3/BD, PCG-SRX3E, PCG-SRX3E/BD, PCG-SRX3F/BD, PCG-SRX3S/BD, PCG-SRX7, PCG-SRX7E/P, PCG-SRX7F/P, PCG-SRX7F/PB, PCG-SRX7S/P, PCG-SRX7S/PB, PCG-TR1/B, PCG-TR1/P, PCG-TR2/B, PCG-TR2/P, PCG-TR2E, PCG-TR3/B, PCG-TR3/P, PCG-TR3/S, PCG-TR3/SP, PCG-TR3E/B, PCG-TR5B, PCG-TR5EB, PCG-TR5PS, PCG-TR5S, PCG-U1, PCG-U101, PCG-U101/P, PCG-U3, PCG-U3/P, PCG-V505/B, PCG-V505E/B, PCG-V505F/B, PCG-V505G/B, PCG-V505R/PB, PCG-V505S/PB, PCG-V505T1, PCG-V505T1/P, PCG-V505T2, PCG-V505T2/P, PCG-V505T3, PCG-V505T3/P, PCG-V505T4, PCG-V505T4/P, PCG-V505V/P, PCG-V505VZ/P, PCG-V505W/P, PCG-VX7/BD, PCG-VX9/P, PCG-X505CP, PCG-Z1/P, PCG-Z1R/P, PCG-Z1RT/P, PCG-Z1T/P, PCG-Z1V/P, PCG-Z1VE, PCG-Z1VT/P, PCG-Z1X/P, PCG-Z1XE/B, VGN-B90PS, VGN-B90PSY1, VGN-B90PSY2, VGN-B90PSY3, VGN-B90PSY4, VGN-B90PSY5, VGN-B90PSY6, VGN-B90PSY7, VGN-B90PSY8, VGN-B90PSYA, VGN-B90PSYB, VGN-G1AAPS, VGN-G1AAPSA, VGN-G1AAPSC, VGN-G1ABNS, VGN-G1KBN, VGN-G1LAP, VGN-G1LBN, VGN-G2AAPS, VGN-G2AAPSB, VGN-G2AAPSX, VGN-G2AAPSZ, VGN-G2ABNS, VGN-G2ABPS, VGN-G2ABPSA, VGN-G2KAN, VGN-G2KBNA, VGN-G3AAPS, VGN-G3AAPSC, VGN-G3ABGS, VGN-G3ABGSAC, VGN-G3ABVS, VGN-G3ABVSA, VGN-G3ABVSC, VGN-G3KBG, VGN-S51B, VGN-S62PS/S, VGN-S62PSY2, VGN-S62PSY4, VGN-S62S/S, VGN-S70B, VGN-S90PS, VGN-S90PSY2, VGN-S90PSY4, VGN-S90PSY5, VGN-S90PSY6, VGN-S90S, VGN-S91PSY1, VGN-S91PSY3, VGN-S91PSY5, VGN-T30B/L, VGN-T50, VGN-T50B/L, VGN-T50B/T, VGN-T51B/L, VGN-T52B/L, VGN-T70B/L, VGN-T71B/L, VGN-T71B/T, VGN-T72B/L, VGN-T72B/T, VGN-T90PS, VGN-T90PSY1, VGN-T90PSY2, VGN-T90PSY3, VGN-T90PSY4, VGN-T90PSY5, VGN-T90PSY6, VGN-T90S, VGN-T91PS, VGN-T91PSY6, VGN-T91PSY7, VGN-T91S, VGN-T92PSY1, VGN-T92PSY2, VGN-T92PSY3, VGN-TR5, VGN-TT33FB, VGN-TT50B, VGN-TT51JB, VGN-TT53FB, VGN-TT70B, VGN-TT71JB, VGN-TT90NS, VGN-TT90PS, VGN-TT90PSA, VGN-TT90S, VGN-TT90US, VGN-TT91DS, VGN-TT91JS, VGN-TT91PS, VGN-TT91YS, VGN-TT92DS, VGN-TT92JS, VGN-TT92PS, VGN-TT92YS, VGN-TT93FS, VGN-TT93GS, VGN-TT93HS, VGN-TT93VS, VGN-TX50B/B, VGN-TX51B/B, VGN-TX52B/B, VGN-TX72B/B, VGN-TX73B/B, VGN-TX90PS1, VGN-TX90S, VGN-TX91S, VGN-TX92PS1, VGN-TX92PS2, VGN-TX92S, VGN-TX93NS, VGN-TX93S, VGN-TZ50B, VGN-TZ71B, VGN-TZ72B, VGN-TZ90HS, VGN-TZ90S, VGN-TZ91HS, VGN-TZ91NS, VGN-TZ91S, VGN-TZ92HS, VGN-TZ92NS, VGN-TZ92S, VGN-TZ93NS, VGN-TZ93S, VGN-TZ93US, VGN-U50, VGN-U70P, VGN-U71P, VGN-UX50, VGN-UX70, VGN-UX71, VGN-UX72, VGN-UX90PS, VGN-UX90S, VGN-UX91NS, VGN-UX91S, VGN-UX92NS, VGN-UX92S, VGN-Y70P, VGN-Y90. 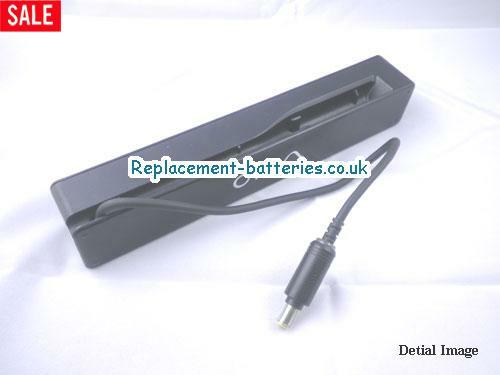 New battery still fully charged UK 16V 4A 64W VGP-AC16V10 for SONY Laptop Charger AC Adapter in stock. sold. You must be on the first wheel to be conditioned for optimum performance. Loading and unloading of the battery 4 or 5 times is enough to determine. The memory effect completely to avoid a full charge and discharge the battery, SONY UK 16V 4A 64W VGP-AC16V10 for SONY Laptop Charger AC Adapter in stock. twice a month. The dirt on the SONY UK 16V 4A 64W VGP-AC16V10 for SONY Laptop Charger AC Adapter in stock. contacts of the battery can power the laptop battery SONY. Clean with alcohol and cotton can look like and function like new. This method is recommended for those using the AC adapter for long periods. We recommend that you use the SONY UK 16V 4A 64W VGP-AC16V10 for SONY Laptop Charger AC Adapter in stock. battery use at least once in two weeks. Batteries lose its charge when stored for a long time and you need the battery if it does break. If he does not use a length of time, the SONY UK 16V 4A 64W VGP-AC16V10 for SONY Laptop Charger AC Adapter in stock. battery will be stored protected from a clean, dry and cool, heat and other metals. A loss of business to charge the battery in time and need a break before reuse. Power Management Features Battery SONY UK 16V 4A 64W VGP-AC16V10 for SONY Laptop Charger AC Adapter in stock. enable the conservation of energy in the battery SONY laptop. You can control the speed of the processor off, or you can adjust the brightness of the LCD screen to a minimum to ensure low power consumption.